UPDATE: Our 2019 application form is now available! Applications will be accepted from 1/14/19 – 2/28/19. Applications may be delivered in person, mailed, or emailed and must be received by No Limits by 3pm on 2/28/19. Previous Award recipient information is now available – just click on the links on this page (sidebar) to see the past First Place and Honorable Mention Winners! Karyssa Lang, the 2018 First Place Kathleen Walsh Richardson Citizenship Award Winner, posing after being awarded with her beautiful trophy next to No Limits’ member Zel. 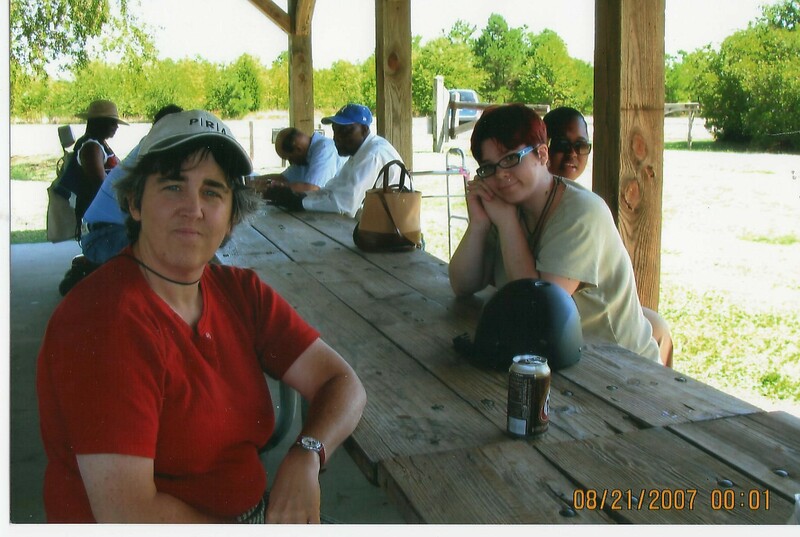 Kathleen “Kate” W. Richardson was an Onancock resident and a founding member of No Limits, a day program for survivors of brain injury on the Eastern Shore of Virginia. Kate was a smart and funny lady, a survivor of brain injury, and a dedicated community volunteer. She died far too soon in July of 2012. Kate Richardson, pictured at a picnic in Kiptopeke, 2007. Kate volunteered over the years in many places, including the Eastern Shore Public Library, the FoodBank of the Eastern Shore, Shore Memorial Hospital, and the Salvation Army, among others. To honor her memory and her spirit of service, No Limits Eastern Shore established the Kathleen Walsh Richardson Citizenship Award in 2014, known informally as the “Kate”. This award is supported by generous donations made in Kate’s memory by the Richardson family. Iesha Warrington, the first Kate Award winner in 2014, with some of the No Limits group. This award is open to Accomack and Northampton County residents attending/enrolled in high school (homeschoolers at the high school level are eligible). Applicants submit at least 4 photos (with captions describing them) and three (3) references. The photos must demonstrate the applicant’s service to their community – for example, participation in volunteer activities, recycling/environmental efforts, church or school-related service. We know there are lots of young people out there doing great work for their communities – on rescue squads, in churches and schools, and in their neighborhoods. Our goal is to encourage this kind of good citizenship in our youth in memory of Kate. 2017 Winner, Taylee Thomas, posing with her beautiful trophy! Please note that we require photos to make it easier for our judges, most of whom are survivors of brain injury, to easily review the applications. Photos should illustrate the community service of the applicant but don’t necessarily have to picture the applicant. Just show us the good work you are doing! Thanks so much to Denise Brown for all of her hard work on the Kate Award Board! The 2017 Kathleen Walsh Richardson Award was a cash award of $300, with three Honorable Mention awards of $150 also distributed. 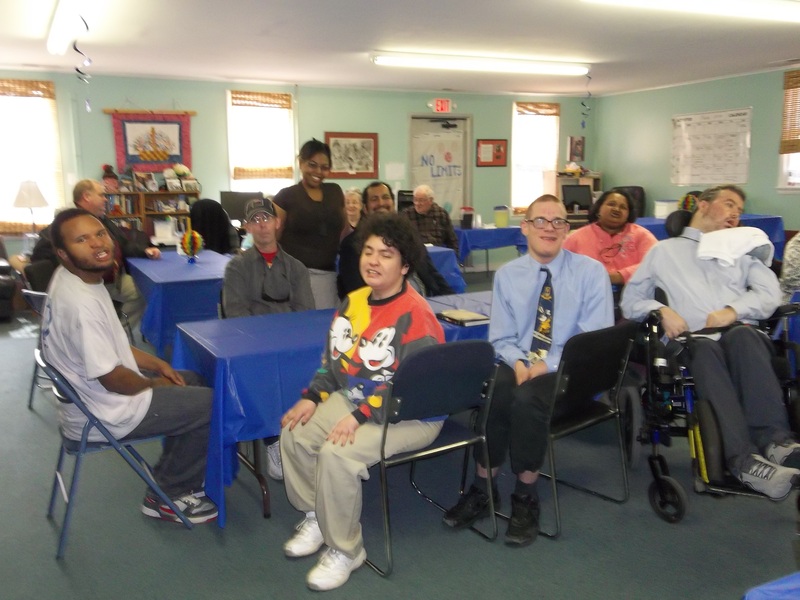 Winners were chosen by members of No Limits Eastern Shore and announced in March. Cash prizes and trophies were given to winners in a ceremony at No Limits. Winners are chosen based on the strength of their photo submissions, as determined by No Limits Eastern Shore, and must provide three (3) verifiable character references. Applicants retain the rights to their photos but grant No Limits Eastern Shore the right to post their submissions on our website and use them in our promotional materials. By applying applicants also agree to allow the use of their image in promotional materials related to this award. All recommendations must be submitted on the form provided. Applications will contain a minimum of four (4) photos with captions explaining the community-building activities they participate in. A scene from the 2016 Awards Ceremony at No Limits. Contest entrants must be legal residents of the United States of America. Immediate relatives (children, grandchildren, step-children, step-grandchildren) of No Limits employees, participants, and Board members are not eligible to participate due to conflict of interest concerns. Thank you so much for honoring Robert Charles with this award today. I knew Kate well and this was the most special award! I am so proud of my nephew for what he has done and for getting this award. Thank you again for the wonderful luncheon, beautiful cake, the award and for recognizing Robert Charles for being an amazing young man. Also for all you do at No Limits.